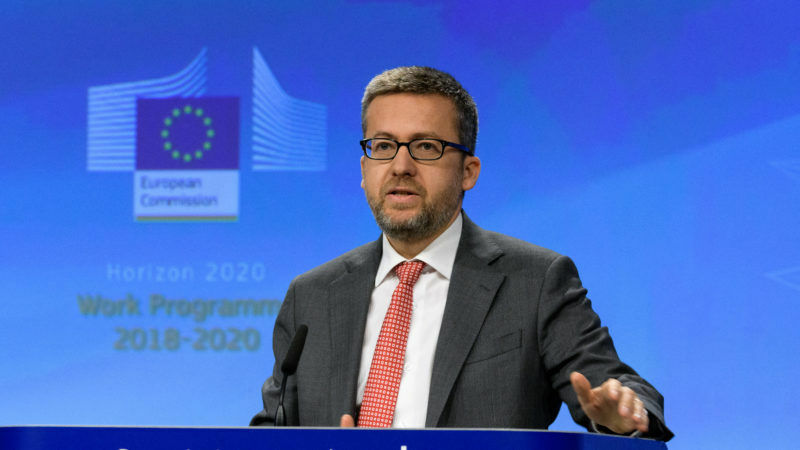 Carlos Moedas, European Commissioner for Research, Science and Innovation admitted that the dramatic events and tensions in Spain over Catalonia were “very difficult for all the sides”, but repeated the official position of the EU executive that the constitutional order in Spain should prevail. Moedas spoke to the press to announce that the EU executive will spend €30bn of the EU research and innovation funding programme Horizon 2020 during 2018-2020, including €2.7bn to kick-start a European Innovation Council. EURACTIV asked Moedas, who is a Portuguese conservative (from the Social Democratic Party of Portugal, affiliated to EPP), what were his feelings as the news from Madrid and Barcelona suggest the crisis between the Catalan separatists and the authorities in Madrid is spiralling. “I do feel what is going around as very difficult for all the sides, but we as the EU have to be on the defence of the constitutional order of Spain,” Moedas said. So far the Commission has avoided qualifying the crisis in Spain, sticking to the position that these are internal matters of a sovereign member state. Just before Moedas spoke, Spain’s Prime Minister Mariano Rajoy premier urged senators to adopt radical measures to impose direct rule on rebel Catalonia and depose its president in a bid to halt the region’s independence bid. Rajoy asked parliament’s upper house, where his party holds a majority, to “proceed to the dismissal of the president of the Catalan government, his vice-president and all regional ministers”. The senate is scheduled to vote later today on measures to depose Catalonia’s secessionist government before the week is out, after the region held an unlawful independence referendum on 1 October. Senators gave Rajoy a standing ovation. Many expect the region’s separatist leaders to push back with an independence declaration. The Catalan parliament, where pro-secession parties hold sway, will meet in Barcelona where a proposal to vote on splitting from Spain could work its way onto the floor.